James Hector was the first geologist to examine the rocks of Otago (including Southland). Between 1862-64, at the height of the Otago gold rushes, he explored and mapped a huge area, collecting samples and looking for minerals such as gold and coal. Hector moved to Wellington to set up the New Zealand Geological Survey and Colonial Museum in 1865. This web feature deals with his work in Otago between 1862-64. James Hector was born in Edinburgh, and studied for a medical degree at the University of Edinburgh. In those days medicine was much less specialised than it is today, and his course included lectures in geology and botany. Hector was an outstanding student in these areas, undertaking independent fieldwork, and attracting attention as a natural leader. In 1856, when Hector was completing his studies, John Palliser was planning an expedition to explore remote parts of what is now western Canada under the auspices of the Royal Geographical Society. Based on recommendations from his professors at Edinburgh, James Hector was appointed to be geologist and surgeon. The expedition was away for more than three years, and had to be largely self-sufficient, aided by local hunters and guides. At the end of that period they had explored a huge area and systematically searched for passes through the Rocky Mountains. The expedition was regarded as a success, and Hector's work on the geology and other areas of natural science attracted praise. He returned to London to write up the final expedition report in 1860. In 1861 the Otago Provincial Council decided to commission a geological survey in the hope of finding minerals, especially gold. Unsure of exactly what this might involve, they approached the noted Scottish geologist, Sir Roderick Murchison, for advice. 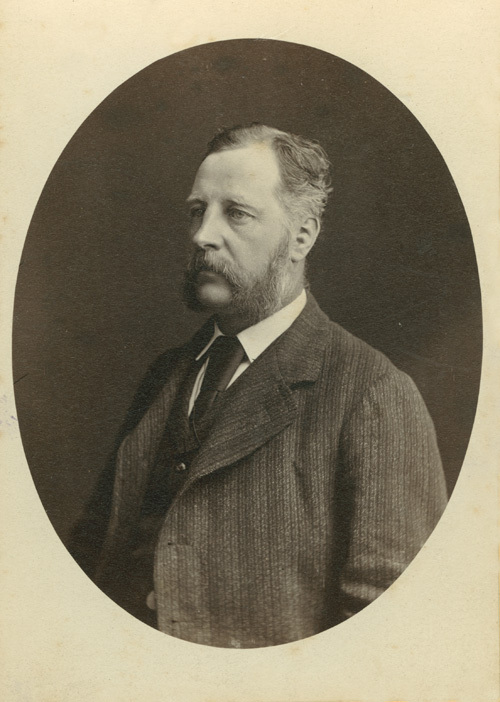 Murchison was president of the Royal Geographical Society, and recommended Hector for the position as well as advising what equipment and assistance he would require. Because of slow communications between Otago and the UK, it took almost a year to conclude negotiations. Hector was to be employed on contract for three years, and at the end of the period he was expected to provide the Provincial Council with a map and report on the geology and mineral resources of Otago. He arrived in Otago in April 1862, having spent a month visiting the thriving goldfields in Victoria, Australia. Gold was discovered in Otago in May 1861, and by the time that Hector arrived a gold rush was in full swing. Many men had left their town jobs in Dunedin to prospect for gold but, despite the lure of instant wealth, Hector was more interested in exploring and mapping a new region. © 2011 Hocken Collections, University of Otago Library, Dunedin, New Zealand.